Government has dismissed reports suggesting another cyclone is headed for Zimbabwe, with Information, Publicity and Broadcasting Services Minister Monica Mutsvangwa urging people to follow proper and official sources of information to avoid panic and avoidable despondency. This follows reports circulating on social media that the sub-Saharan continent, including Zimbabwe, will suffer another cyclone, Joanina in the near future. Addressing a Press conference in Harare yesterday, Minister Mutsvangwa said the Meteorological Services Department (MSD) was the authoritative institution that advises people on weather-related information. "While it understandable that people are anxious, if not jittery in the wake of the colossal calamity in the name of Cyclone Idai, it is still strongly advisable that people should rely on correct information to avoid undue panic and avoidable despondency. "The new phenomenon of social media is not an official and authoritative source of information as often it is replete with rumour falsehoods and downright mischief which should be taken with caution. 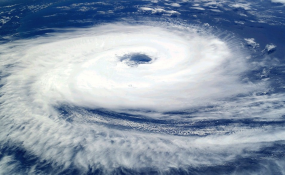 Any information from purported international weather forecast that indicate that Cyclone Joanina is gathering momentum in the Indian Ocean and will affect Zimbabwe is not correct," she said. She said while Cyclone Joanina was real, it was based in the Indian Ocean far away from the African continent. "So far expert evidence suggests that Cyclone Joanina will start and end in the Indian Ocean, not even affecting Madagascar, which shields the sub-continent from the high seas. Zimbabwe's MSD is continually monitoring the weather developments in the Indian Ocean, including Cyclone Joanina and will keep the nation informed through mainstream and the national broadcaster," she said. The ministry urged mainstream media houses and social media users to report on issues related to disasters from an informed position to avoid further unnecessarily stressing the nation which is recovering from the devastating effects of cyclone Idai.